This is a parody of cave paintings from the Neolithic era, but inspired my my good friend who owns Tamworths. 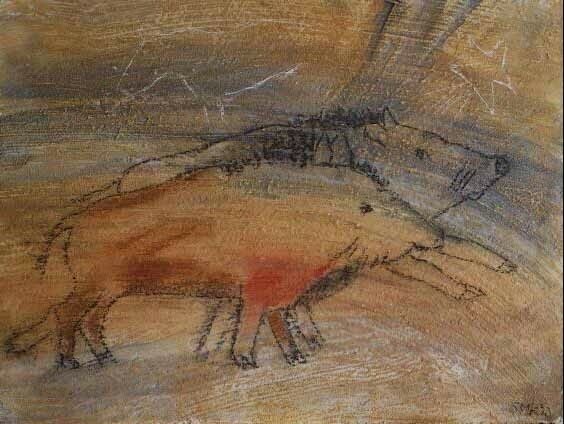 I wanted to do a 'pig' painting for him and I think these two "Mr and Mrs Boar" look rather friendly and endearing. Original mixed media on textured board A3 sized GIFTED.